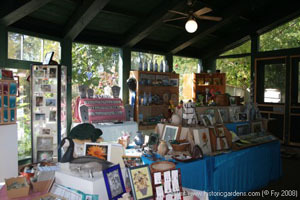 There are two great ways to shop at the Historic Gardens! The Gardens Shop, located just off the Main Courtyard, offers a wonderful selection of Maritime art, books and other gifts reflecting the historic and floral themes of the Historic Gardens. Our Gardens Shop Online offers a selection of Gardens merchandise, including our annual pewter ornaments, popular photo card selection and the 12 month Historic Gardens calendar. You can also buy season passes and memberships, or make a donation, through our Gardens Shop Online. Check back often as our online selection will change frequently.